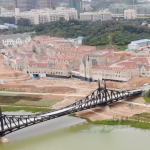 Remnants of the former Ferenc József (Franz Joseph) bridge blown up by the Germans during the siege of Budapest in World War II has resurfaced under the Liberty Bridge. As we previously reported, water levels at several points along the Danube River, including in Budapest, have hit record lows. 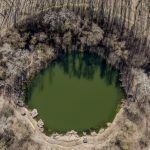 The low levels brought several lost items to the surface: in Budafok a whole car emerged from the water, followed by shipwrecks and two half-ton American bombs. Just recently, thousands of silver and gold coins and metal objects of high value also emerged near Érd. The discoveries are believed to be the cargo of an unknown commercial ship that probably sank in the 18th century. The Miénk a Ház project, which organizes city walks in Budapest, posted a picture of the remains of the former Ferenc József bridge to their Facebook page. 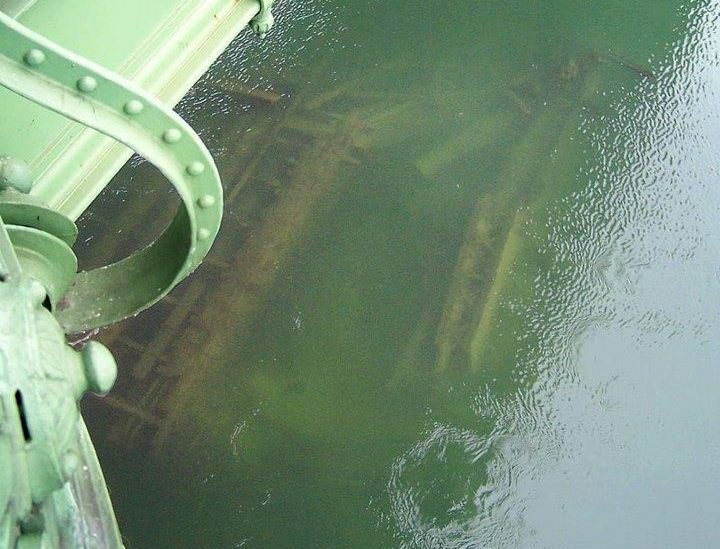 Now, thanks to exceptionally low water levels, the remains are visible under the bridge in the Danube. The bridge, which stood in the same place as today’s Liberty Bridge, was handed over on October 4, 1896 in the presence of Habsburg Emperor Franz Joseph I. Trams began to run on the bridge two years later. 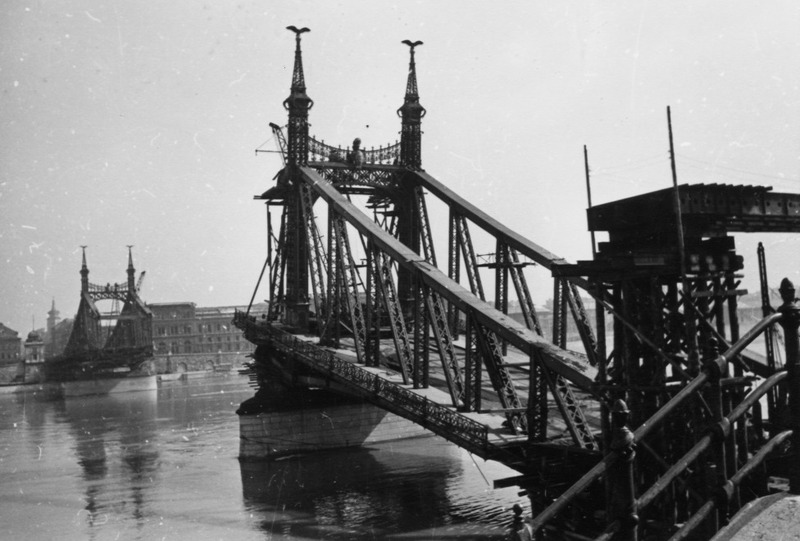 Along with several other bridges in the capital, it was blown up by the German army in January 1945 during the siege of Budapest. After the siege, a Soviet pontoon bridge stood on the ruins but was later destroyed in January 1946. According to original plans, the central section of the bridge blown up by the Germans was rebuilt. 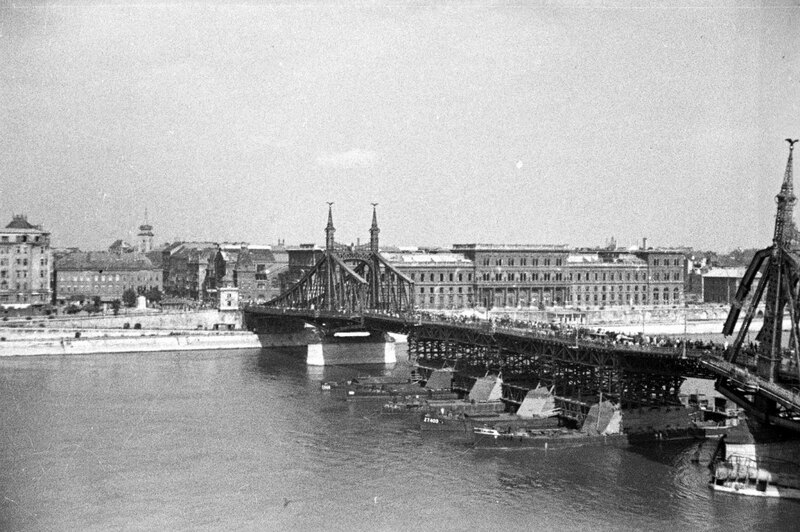 It was opened to traffic on August 20, 1946, and was the first of the bridges to be restored under a new name (Szabadság-híd [Liberty Bridge]). Some of the parts of the Ferenc József bridge have resurfaced from underneath the current bridge due to record low water levels.